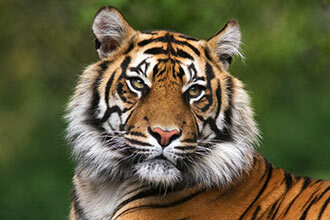 Seize the opportunity to get up close and personal with one of Africa’s big cats. 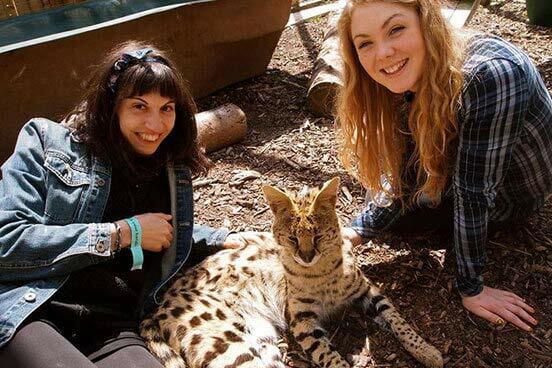 This unforgettable 20 minute experience gives you the opportunity to meet two servals, Zeus and Duma. 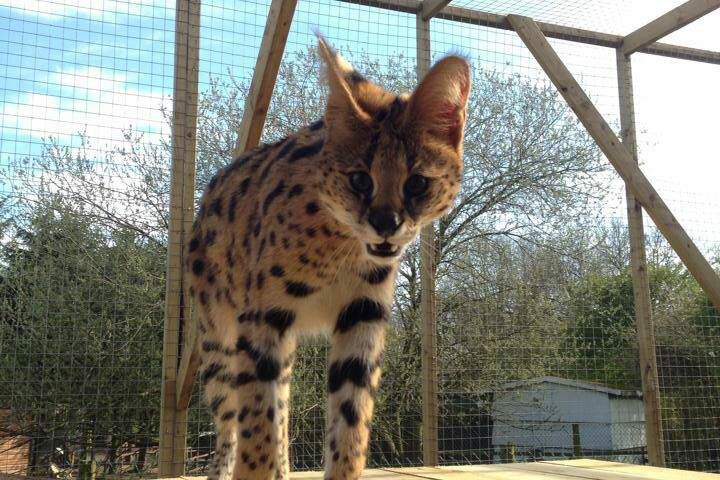 Recognised by their bold spotted black on tawny fur, servals are the second fastest cat reaching speeds of up to 50 mph, as well as being able to jump 9 feet high. However, there’s no need to be scared as they love human attention and will happily nuzzle up to you. Had a fabulous time doing the big cat experience. Would definitely do it again. I bought this for my husband as a treat and he thoroughly enjoyed it. The staff were very friendly and knowledgeable. If you love cats like we do this is certainly something you would want to do. I personally could have spent all day with them. Booking was a pain. All went well in the end, but my first choice (Aston Martin experience) was unavailable, despite still being advertised. The worst thing was I had to submit dates, then wait nearly a week to be told the whole experience was unavailable at local sites. I then had to choose something different and wait again while they checked the dates. I could have booked direct with the site much quicker! Once booked, all was OK. The weather was awful, but the keeper went out of her way to make the most of it for us. 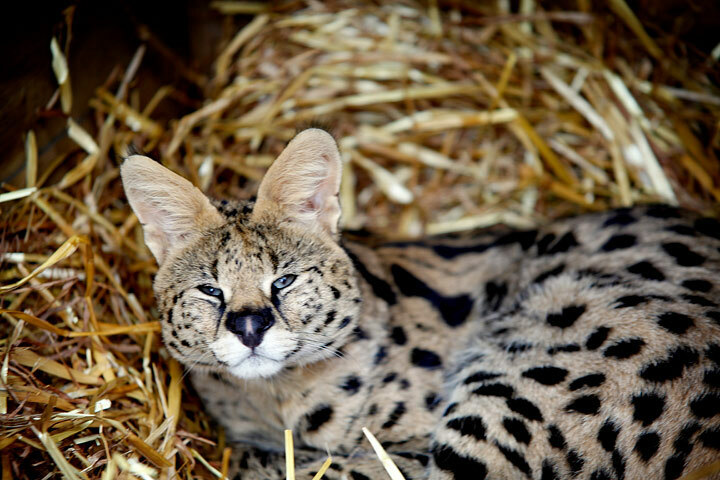 We understood that the animals have a mind of their own, so we were not surprised when the serval cats decided not to come to us that day. we still got closer to wild cats than we had ever before. The other parts of the experience were delightful. The meerkats just wanted to snuggle up on us and objected when we had to go. The lemurs were very friendly, despite the rain, climbing all over us and eating from our hands. Overall, the booking could have been a lot easier, but the experience was well worth it. Thank you for your feedback. Whilst I am pleased that you enjoyed the meercats and lemurs at Hoo Farm, I am sorry to hear that your experience left you feeling disappointed. Unfortunately the sleeping patterns of the animals at the zoo is something beyond our control, however your feedback has been passed on to the location in question to ensure they are aware of your concerns. Thank you once again for providing your valuable feedback and I am sorry for any disappointment caused. I was told that my experience was at 3pm with confirmation via e-mail after months of waiting and having to e-mail the week I was due to attend as I hadn't heard anything from them. Finally got sorted and 3pm on the Sunday. Attended at this time to be told I was supposed to have attended at 10am and they would see if they could squeeze me in somewhere. We managed to be in a group but didn't feel that the experience was worth it due to not being able to do or see much as the group was too large. Would not recommend this. Thank you for sharing your feedback. Having looked on my system, I can see that your Meet the African Big Cats experience was booked and confirmed for 17th March at 3pm. I am sorry to hear that there was a mix up at the venue with the time of your booking, I have passed this on to the location to ensure this does not happen again. The maximum group size for this experience is 4 people, I apologise if this amount of people made the experience any less enjoyable for you. I will pass your feedback on to Hoo Farm and we will work together to improve this experience. Having always been an animal lover (particularly cats!) this activity looked perfect to get up close and personal to some African animals, and I can honestly say this did not disappoint!!! We arrived at Hoo Farm a couple of hours before our experience started so that we could get a good look around the park. There is a huge and varied array of animals to look at, and interact with, everything from sheep, deer and pigs right through to snakes, spiders and parrots. To begin our experience we were introduced to our animal expert who talked us through an outline of the experience, as well as going through some safety points, this experience is limited to 4 people which is a perfect number. First stop the ring-tailed lemur! Whilst inside the lemur enclosure the keeper had a bowl of fruit, she would place a small piece in the palm of your hand, at which point the lemur would carefully take your finger and pull your hand towards them in order that they could be fed! Whilst this was ongoing the keeper told us all about the lemur and how they got to be at Hoo Farm. 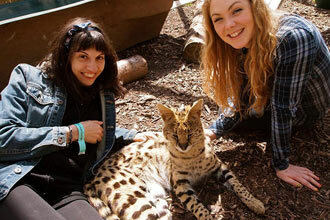 Following the lemurs the next stop was to see Duma and Zeus the Serval cats. 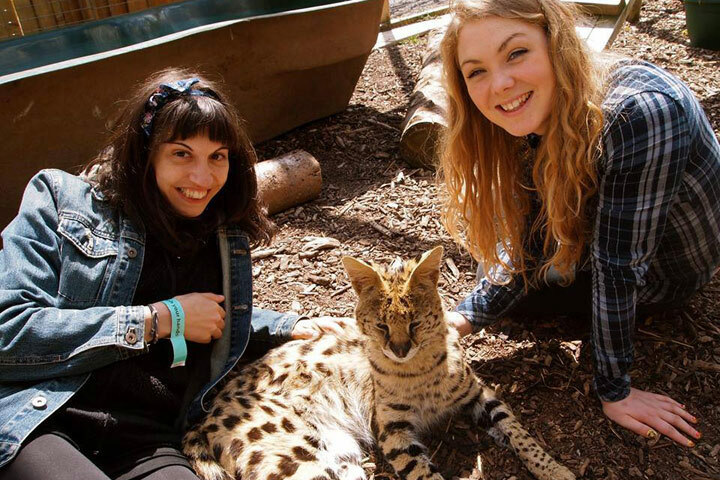 Whilst inside the Serval enclosure you get up close to the cats and can stroke their heads, even though they are a lot bigger they acted exactly like domestic cats and started to purr! Even though they are big, it did not feel at all scary and again the animal keeper was full of knowledge! The last of the experiences was to go and have some playtime with the meerkats!! One of the meerkats would sit on your lap and ask for his belly to be rubbed, or would run up and stand on your shoulder so he could see everything that was going on, whilst the other would curl up into a ball in your arms and go to sleep. It was really good to spend 15 minutes playing with, and cuddling these remarkable animals. After the experience was over we retired to the onsite café and had a coffee, which was included in the experience, and a really nice touch! Overall Hoo Farm was a great place and this activity is well worth the price!! The staff were very helpful and informed and the animals were fantastic, a really nice way to spend an afternoon!! If a meerkat is on your shoulder do not open your mouth! !